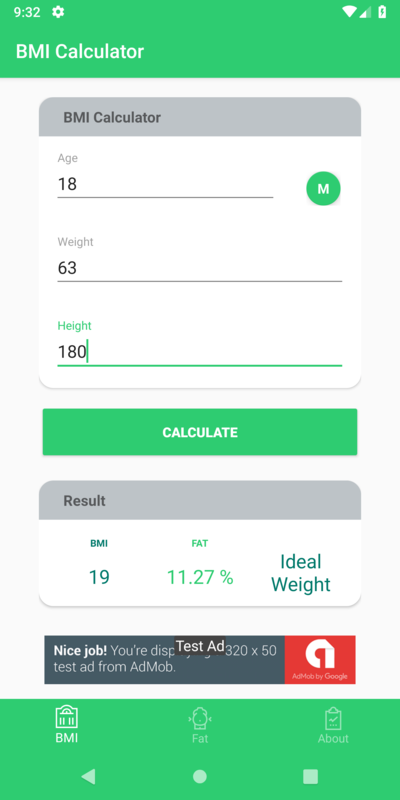 Keep your weight under control. 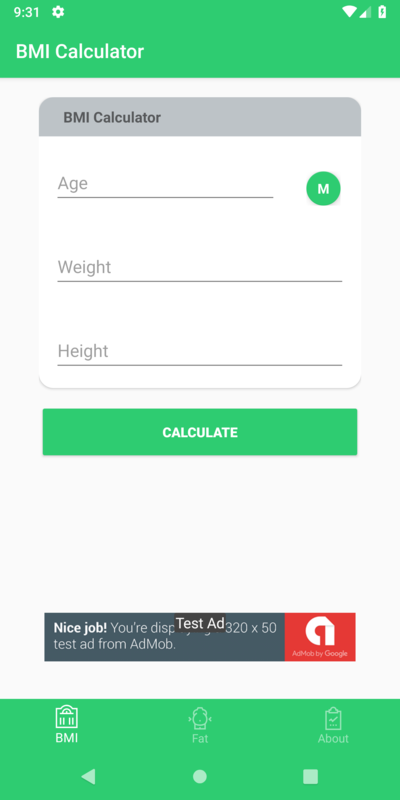 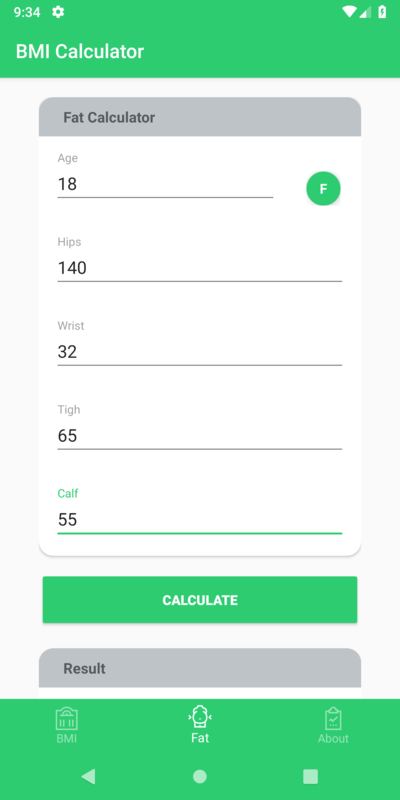 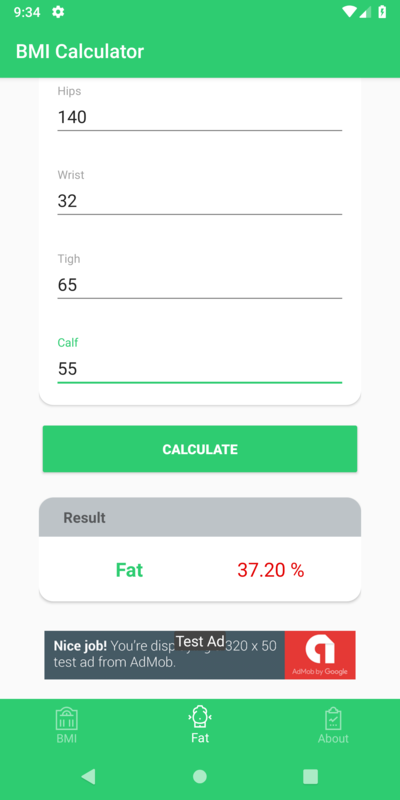 BMI & Fat Calculator is full app which help you control your weight and height ratio. 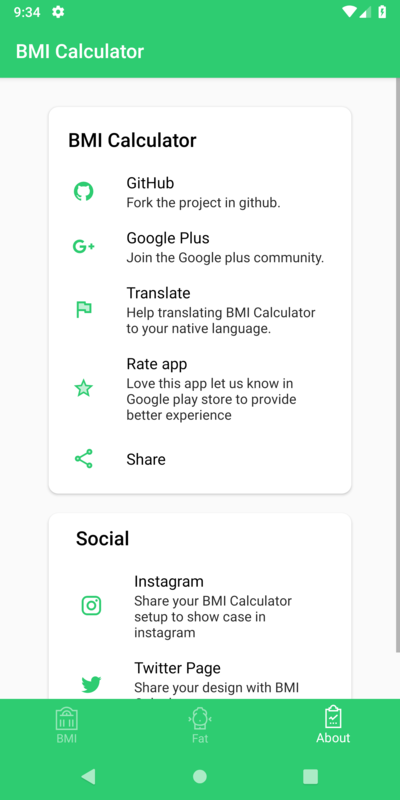 The App is integtated with AdMob banners.